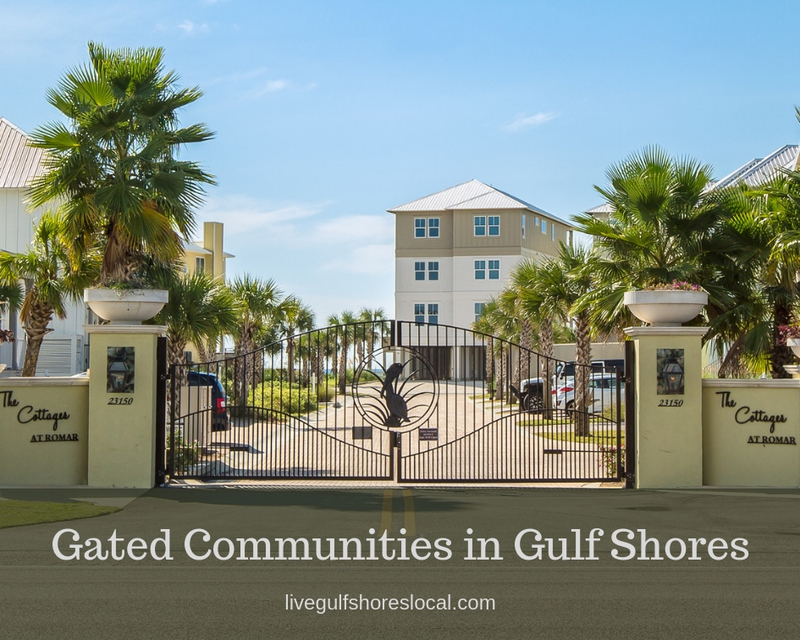 Living in a gated community is a matter of personal taste but here at the beach in Gulf Shores, potential buyers (for the most part) aren’t particularly searching for neighborhoods or complexes that are gated. I think most buyers search online for a property and when they find out that it’s gated, they don’t mind at all. That’s what happened to me when I purchased a condo in Gulf Shores. I do think that the pros outweigh the cons for having a gate at the entrance of your neighborhood. 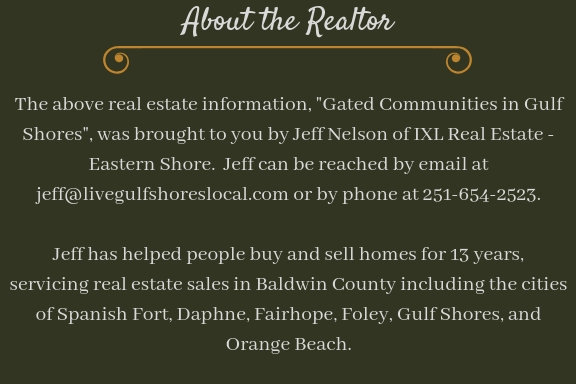 Gulf Shores does have its share of gated communities. So, for those who find this feature appealing, this article is for you. All of the neighborhoods and condo complexes below have a gated entry. Just click on any of the links below to find out more about that area and see the homes or condos that are for sale there. Tons of amenities that include multiple pools, clubhouse, fitness room, tennis, and much more. Many different styles and sizes ranging from 1,000 to 5,000 square feet. 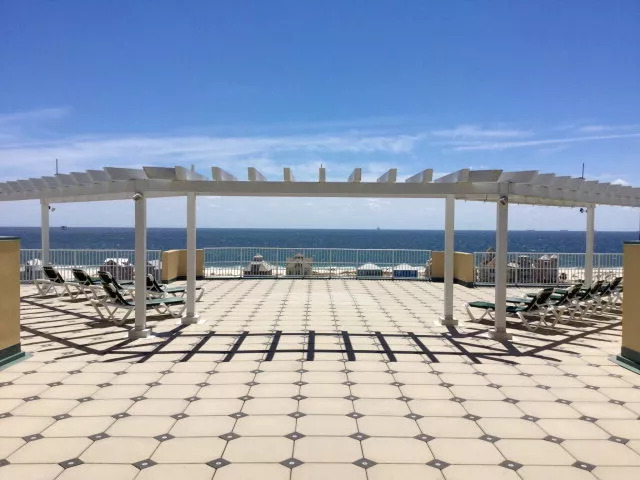 Amenities include fishing pier, boat dock, outdoor pool, and tennis. Nice neighborhood in the north part of Gulf Shores off of Route 8. Offers a great lifestyle with a basketball court, tennis courts, clubhouse, and pool with waterfall. Homes are priced at an average of $127 per foot. Offers a deeded boat slip, BBQ area, clubhouse, pool with a heated spa, and exercise room. Unique property that sits in front of The Beach Club (condos). Enjoy all of the amenities of the condo section (which are numerous). Homes are priced from app. $350,000 to $950,000. Inexpensive condos in gated community. Nice. This neighborhood has single family homes in the front and condos along the Gulf. Large marina. Every condo gets a boat slip. 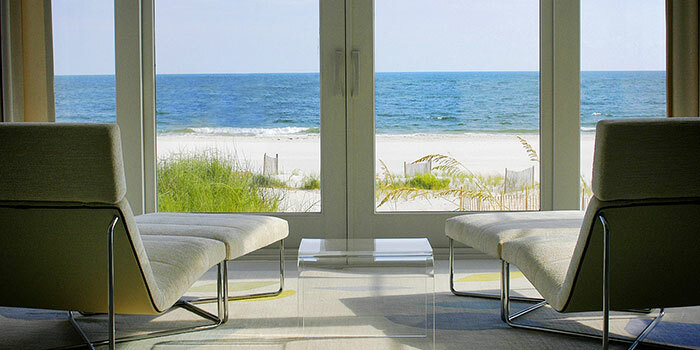 Thank you for taking the time to read this article on Gated Communities in Gulf Shores. If you would like additional information on any of these neighborhoods and condo complexes, please contact me from the information below.